Most Dependable Fountains has incorporated its self-sealing Safe-Stream Bubbler® into a complete line of outdoor drinking fountains: Safe-Stream 40 SM, Safe-Stream 10 SM and Safe-Stream 50 WM. The Safe-Stream Drinking Fountain is designed to combat the health issues related to public use of common-area drinking fountains, as well as meet ADA requirements. The Safe-Stream fountains also feature a stainless-steel bowl strainer as standard. The Safe-Stream bubbler may be ordered as an option on other Most Dependable Fountains or retrofitted to most existing exterior or interior drinking fountains. Two new rolling storage bins from Pool Shot ProductsTM feature a durable, metal frame interlocked in a tight mesh to corral athletic equipment, pool toys, floats and backyard accessories as small as a baseball without falling through the openings. Ideal for use in health clubs, gyms, aquatic facilities, schools and other sports and recreational facilities, the two new storage bins promote air circulation and provide see-through visibility in a secure container that may be covered and locked. Set atop four rugged, swiveling casters, the bins roll easily from the gym, pool and field to the locker room and laundry room. The TelosTM hard plastic classroom furniture collection by Virco provides new levels of product performance. Telos incorporates important ergonomic benefits to set a new standard of comfort and support for mid-priced plastic seating. All Telos models are certified according to the stringent GREENGUARD® for Children and Schools Program for indoor air quality. The seats, backs and work surfaces are made from Virco's proprietary Fortified Recycled WoodTM hard plastic, which has a long life and is fully recyclable through Virco's take-back program. Telos includes four-leg chairs that form a 10-high truly vertical stack. The #5330 El Nacho Grande Cheese Cup Warmer is economically priced and perfect for any location, with a small imprint to fit virtually any place. Not only is it small, but there is no preparation or mess involved. Just store the portion pak cheese sauce in the warmer and display the portion pak chips on top of the warmer. After consumption, simply throw away. This convenient warmer is UL listed and holds about 32 cups of portion pak cheese sauce. The classic snack item is ideal for any concession stand or food place. Advanced Control Logix offers the new SX SeriesTM Controller, designed to automatically monitor and control pH and sanitizer levels 24 hours a day with a unique, remote mountable interface that is driven by a type of USB, allowing each system to control up to eight bodies of water and as far away as 3,000 feet apart. This new technology allows the system interface to be outside of the pump room, avoiding awkward standing on machinery to view or adjust the treatment of the water. Whether you've got a small splash park or a large waterpark, algae and bacteria don't stand a chance against the Accu-Tab Chlorination System from PPG Industries. PPG's high-delivery-capacity tablet system offers a small footprint and excellent storage and handling. 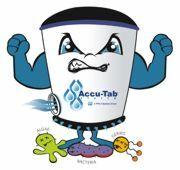 Rugged and reliable, and requiring only yearly preventative checks and cleaning, the Accu-Tab system is nearly maintenance-free. PPG offers a range of PowerBase chlorinators that can handle up to 2 million gallons. Nevco's MPCX wireless handheld scoreboard controller can operate multiple scoreboards simultaneously and can link individual scoreboards. This lightweight controller features a high-visibility LCD display that allows confirmation of data from the user to the board. The MPCX control is available to operate Nevco's basketball, football, baseball/softball, hockey, soccer, wrestling, volleyball and tennis scoreboards, and Nevco's Delay of Game timers and shot clocks. Nevco products enhance the fan experience at events worldwide, from youth sports to professional venues. Nevco's team of dedicated specialists helps customers by designing custom multimedia platforms to maximize sponsorship revenue and fan participation. Acu-Trol, a division of Pentair Pool & Aquatics, offers its new AK400 Chemical controller, which monitors and controls everything from pH, ORP, temperature, PPM and TDS, as well as digital flow, water levels and conductivity. This microprocessor-based controller programs up to five auxiliaries and offers proportional control for enhanced chemical dosing with programmable set points for precise chemical control. 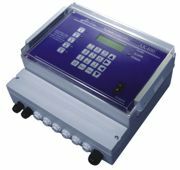 The unit can be customized to any size pool and comes with five relays programmable to any input and offers auto-detect modules, eliminating jumpers or switches to move.